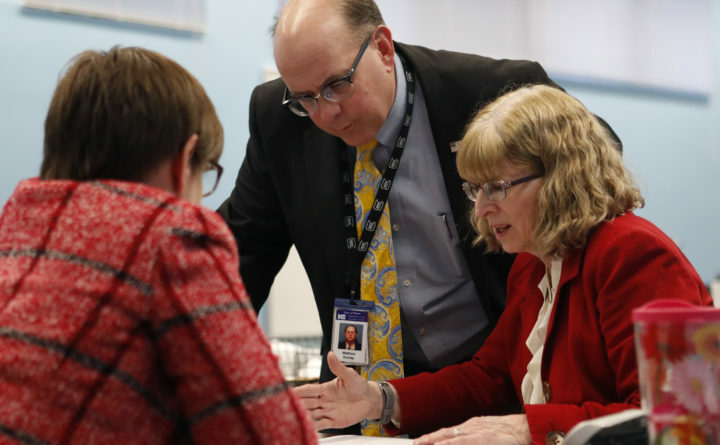 Maine Secretary of State Matthew Dunlap works with Deputy Secretary of State Julie Flynn, right, during the ballot-tabulation process for the election in Maine's 2nd Congressional District in Augusta, Nov. 13, 2018. Good morning from Augusta, where 16 people are entering their fourth day of hand-counting ballots for the 2nd Congressional District race recount. And so far, the process is progressing quicker than expected with no notable result variations, Maine Secretary of State Matt Dunlap said Monday. An outcome could come before the end of the year, eliminating questions over who should be sworn in on Jan. 3. The counters, composed of eight people appointed by Democratic winner Jared Golden’s campaign and eight from Republican U.S. Rep. Bruce Poliquin, are sustaining a pace of about 25,000 ballots a day. At that rate, completing the tally of roughly 296,000 ballots could conclude within two weeks, and not into the New Year, as Dunlap previously thought. “I’m not saying we’ll be done next week, but if we keep moving at the pace we’re moving, we’ll be done much sooner than we predicted,” Dunlap said. Counters are likely to slow slightly once they move into counting results from towns that used machines to process ballots, because they haven’t yet been sorted. Results of the recount are not made public until the count is final. But everything looks on track for an outcome very close to the one Dunlap’s staff announced Nov. 15, he said, which gave Golden the win over Poliquin by about 3,500 votes after the second round of ranked-choice tallying. Poliquin called for a recount in late November, as his lawsuit challenging the constitutionality of ranked-choice voting had already begun working its way through the legal system. 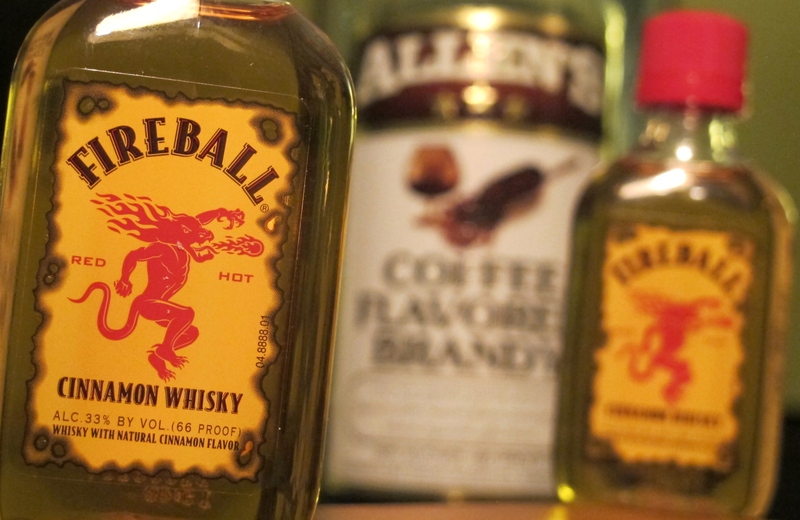 A judge’s ruling on that lawsuit is expected this week. Late last week, the Maine Republican Party came forward with 17 signed affidavits from 1st Congressional District residents who claimed they voted, or were nearly positive they voted, for 2nd District candidates on Election Day at their polling places — a phenomenon that Dunlap and his deputy secretary of state, Julie Flynn, have said is nearly impossible. Savage didn’t respond Monday to a request for comment. There have been minor fluctuations in recount results so far, which Dunlap said likely would happen in any recount. They result from ballot discrepancies — if someone has marked on a ballot incorrectly, for example — which the tabulating machines don’t always catch. Those changes, however, are virtually negligible. If the race doesn’t swing in Poliquin’s favor — which still appears unlikely — he’ll have to pay for the full cost of the recount, unless he stops the process before it’s complete, at which point he would pay for the count up to that point. Poliquin’s spokesman, Brendan Conley, didn’t respond to requests for comment Monday. “Every day that goes by it becomes clearer and clearer that there’s going to be no change,” Golden’s campaign manager Jon Breed said late Monday afternoon. “It would be beneficial to the people of Maine if Rep. Poliquin began assisting in the transition of his office to Jared’s office,” he said. As is his wont, Maine’s departing governor again floated the prospect that he’s not done running for elective office. In a radio interview this morning on WVOM, Republican Gov. Paul LePage said that he would run against Gov.-elect Janet Mills if her administration strays from the fiscal discipline he believes he applied to state government during his time in office. “If she does what I think she’s going to do, I will run again in 2022 to challenge her,” the Republican governor told Ric Tyler and George Hale during his Tuesday morning call-in chat. That echoed what he told Tyler and Hale the week after Mills won the election to succeed him. During Tuesday’s radio appearance, the governor also jabbed at Republicans who led the previous Legislature, poking them for supposedly entering a state of political torpor after their efforts to win the GOP nomination to succeed him failed. “When they lost in the primaries … they all went home. Shame on them,” he said. Electricity prices for most Mainers will increase next year. The Maine Public Utilities Commission voted Monday to raise the standard offer for delivery of electricity to Central Maine Power customers. Coupled with an earlier decision to hike the standard offer for Emera Maine’s Bangor Hydro service area, it means most Maine residential and small business customers can expect to pay more for electricity next year. The newest member of the Supreme Court sided with the majority against hearing a case aimed at defunding Planned Parenthood. The Los Angeles Times reports that, after weeks of debate behind closed doors, Justice Brett Kavanaugh joined five of his colleagues to reject appeals backed by 13 conservative states that sought to defund Planned Parenthood. The court’s action leaves in place federal court rulings in much of the country that prevent states from denying Medicaid funds to women who go to a Planned Parenthood clinic for health care, including medical screenings or birth control. It is already illegal to use federal money like Medicaid to pay for abortions, but some states wanted to go further, cutting off all Medicaid funding to Planned Parenthood because the organization offers the procedure using alternative revenue sources. This weekend, I learned of the death of Terry McCarthy of Lewiston. I knew Terry as a kind and generous co-worker for the almost 10 years I worked at The Times Record in Brunswick. He drove the company’s box truck, delivering newspapers, contracted print jobs and other items through the worst weather and driving conditions that Maine could muster. His quick smile and willingness to help others — even when it inconvenienced him — made Terry a beloved colleague. But Terry was much more than a dependable driver and valued employee. He was a Telstar. Back in the early 1960s, when the British Invasion washed across the Atlantic and up the Androscoggin River as far as Lewiston, teens with instruments were inspired make it big. Terry got behind a guitar before he got behind the wheel of a truck, taking the lead for Terry and the Telstars, They were so young, they needed the drummer’s father to serve as chaperone, but not too young to recognize that they had caught the tail of a cultural comet. While that “new direction” for most of Lewiston’s rock bands in the mid-1960s took members to jobs in shoe or textile mills, it rocketed Terry and the Telstars to relative fame on the New England music scene. The pinnacle — apogee? — of their rise probably came on March 16, 1968, when they joined The Hanseatic League and Soft Machine to open for Jimi Hendrix at the Armory in Lewiston. Terry and the Telstars never expanded their orbit much beyond the New England rock scene. But they kept in touch and their Pal Hop Days shows and other reunion concerts became venues for shared love and respect among the band’s devoted fans. Terry was a humble man who much preferred sharing his appreciation for other musicians than talking about himself. But when you could coax him into reminiscing about life as a teen Telstar, his smile would flash reflexively and the twinkle in his eye shone bright.